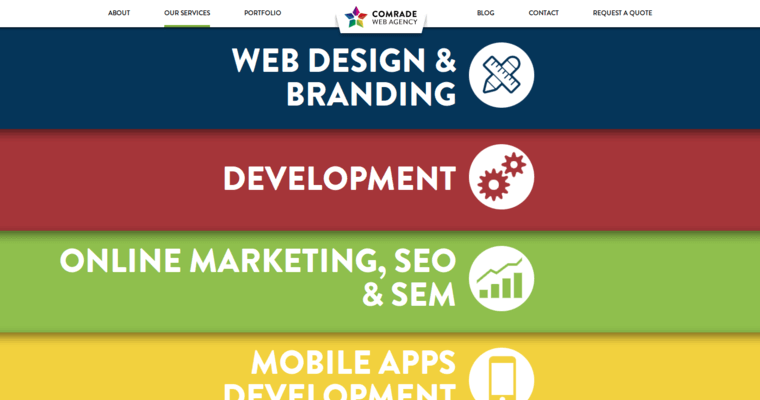 Comrade Web Agency is a design firm specializing in responsive software design and SEO marketing that delivers measurable results. 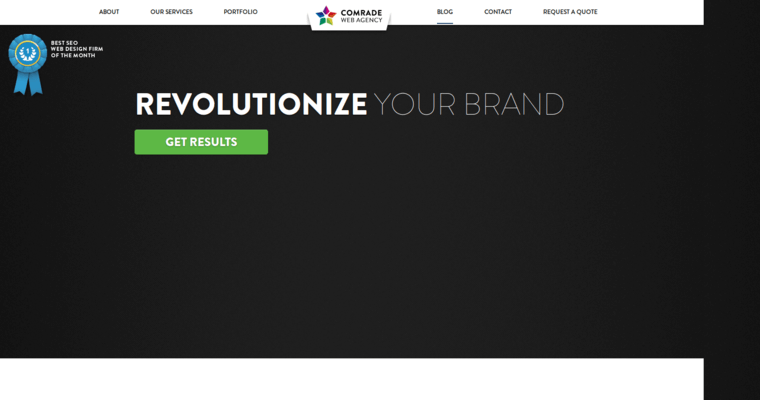 They were voted the number one SEO design firm in the country by 10BestDesigns.com, and their expertise in creating cutting-edge digital deliverables has been recognized by clients who benefit from Comrade's effective branding strategies. They really offer four services under the single title of Web design. The first service they offer is design and branding, which starts with consultation with clients to learn their business goals. The second service is software development, which they strive to make responsive and adaptable to the constantly changing Internet. 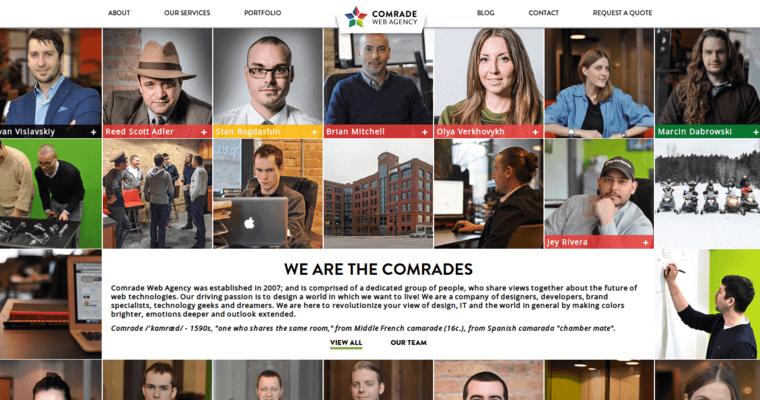 Perhaps Comrade's specialty is the third service they offer, SEO marketing and analysis, keeping watch over their clients' websites after designing and building them. The fourth service they offer is innovative Web and mobile app design, including business and productivity apps as well as games and multimedia software.